Crystal Cat with Glasses Necklace Only $3.19 PLUS FREE Shipping! You are here: Home / Great Deals / Amazon Deals / Crystal Cat with Glasses Necklace Only $3.19 PLUS FREE Shipping! I love necklaces like this that are charming, vintage and very cute. 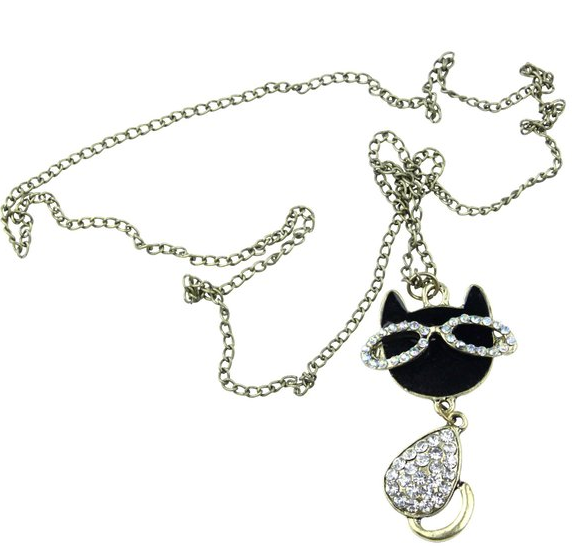 This necklace features rhinestones and a cat with vintage sunglasses on! Make sure to scoop up your own Crystal Cat with Glasses Necklace Only $3.19 PLUS FREE Shipping!